So you’re hunting for a VPN? I’ve stumbled upon something better, a VPN Extension, it does the exact same things a VPN does, but with lesser demands, such as no hard disk space or other resource needs. Today is my 3rd month of using Surfshark VPN, and as I renewed it last night the thought of scribbling this review down struck my mind. Most people assume a VPN only is capable of “Changing your IP address”, well that’s primarily what it does but because it changes your IP address, it also induces a number of other changes for your privacy and anonymity. For starters, it prevents your IP address from being linked to you, or your geographical region, so you could be in USA but make it seem as if you’re in India, or any other country. Also, whatever you do online when connected to a VPN can’t be linked to you so you don’t run the risk of facing unwanted legal hassle if you stumble upon links or files you shouldn’t. Secondly, when you use a VPN’s IP address, you traffic is encrypted and secured in a way that third parties including govt. agencies can’t hack into it or intercept it. And third, it lets you access blocked content and websites, doesn’t matter if they’re blocked by your govt. or your local organizations such as schools, churches etc. you access everything. 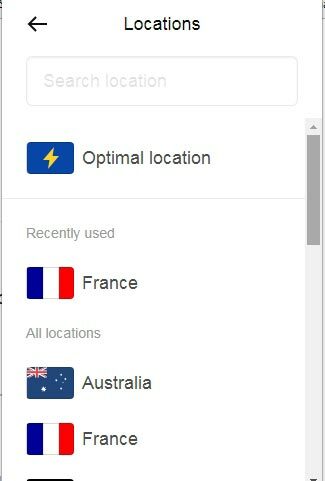 These are just some of the benefits that employing Surfshark VPN extension or any other VPN for that matter lets you reap. Let’s get started with the review. Surfshark VPN extension is a browser extension, and is added to your browser. It’s a one-click process, much easier than installing most standard VPNs. It supports Google Chrome / Firefox and Android devices for now, in addition to supporting routers (including Tomato and DD-WRT custom firmware) and OpenVPN. There isn’t much user-interface for us to critic, it’s a simple screen with two simple options, either directly “connect”, or choose a location and then connect, that’s about it. No complicated protocol choosing, bandwidth declaration or anything else. Some would argue about the lack of control, well that’s not so, if you need more control about the protocols you could just use it with OpenVPN manually. So yes, the list isn’t vast but it’s satisfactory, and courtesy to their 100+ servers they’ve enough IPs to choose from along with making sure there’s never a speed overload for any individual or country. This is probably the most important feature for me when I’m hunting for a VPN, any VPN which keeps logs isn’t the VPN you should go for, no matter how justified their reasons are. Surfshark understands that and hence has a strict “no logs policy”, so none of your logs regarding any of your activities are saved, ever. Surfshark even though isn’t a .exe packaged software and is just a browser extension, left no stones unturned when it came to user security. They’ve included IPv6 leak protection on the extension as well, which makes sure that no matter what the system or the browser never overrides or bypasses the VPN and rather always uses the encrypted, masked connection. WebRTC protection makes peer to peer file-sharing, communication, gaming etc. more secure and less vulnerable. And finally, AES-256bit encryption doesn’t need an explanation, does it? It’s one of the most secure, unbreakable and heavily encrypted encryption protocols available out there. The connection protocols effect your security as well as speed. OpenVPN is currently the most secure VPN protocol, which holds two types of connections, TCP and UDP. TCP being the slower but more reliable type, while UDP can be employed when you don’t need that reliable or stable a connection, but need speed. IKEv2/IPSec is again a secure, fast, feature-rich protocol known in the industry for its connection switching abilities. In a nutshell, I’m satisfied with the provided protocols. With my single account , I’ve been using Surfshark on over 9 devices in my family the price to use it on one device is the same as using it on infinite devices, and this is a feature which makes it exclusive and unique. Bandwidth too isn’t limited weekly, monthly, based on package or anything else, so you can use as much data as you want without worrying about a bandwidth limit to be reached. The speed too is the same on your first and last day of the VPN without any metrics influencing in any way, it’s unlimited. The live-chat and E-mail are extremely fast and responsive, live-chat is instant ofcourse while E-mail takes no more than 24 hours at best. Also, I’ve tried them at 3 different times on 3 different days and was always able to get someone to help me out on the live chat hence the 24/7 thing isn’t just a gimmick. It’s feature-rich, granted. But would it fit your pockets without burning a hole in it? I suppose yes. Its cheapest plan is as low as $3.95/month if you purchase it for the whole year, while the slightly expensive package is of $4.95/month if you get it for 6 months, or you can get it for each month at $5.89/month. Even the per month plan isn’t “expensive” cause hey what’s 5 dollars compared to the security and anonymity we’re getting? As for Payment methods, currently they’re accepting only Credit cards, but as per their website they’ll soon start accepting Paypal / Sofort Banking / and Alipay! I know it did sound like a praise-song for the most part, but what else can I do for a VPN which didn’t give me a reason to “not like” it? Obviously there are improvements they could make, but the existing options have carried me smoothly through 3 months so why would I complain? 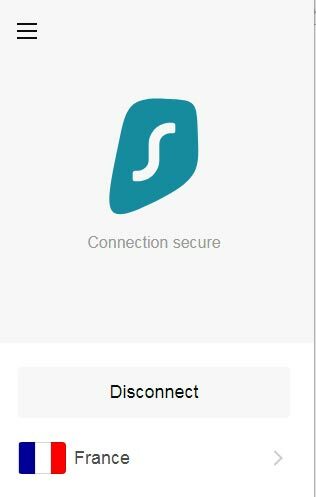 Do let me know what you think of this Surfshark VPN Extension review and the tool in general as well via E-mail, on our Facebook page, or in the comments.